CARACAS, WILLEMSTAD - The founder of Sambil died yesterday in Caracas. Engineer, businessman and president-director Salomón Cohen Levy was born in Jerusalem to a Sephardic Jewish family and came to Venezuela with his family at the age of three. In 1958 he founded the construction company Sambil and in 1998 he started with the construction and management of shopping centers and hotels. Later he did so in the Dominican Republic, Curaçao and Spain. 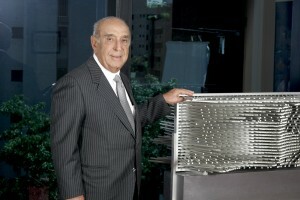 Salomón Cohen Levy is 91 years old.